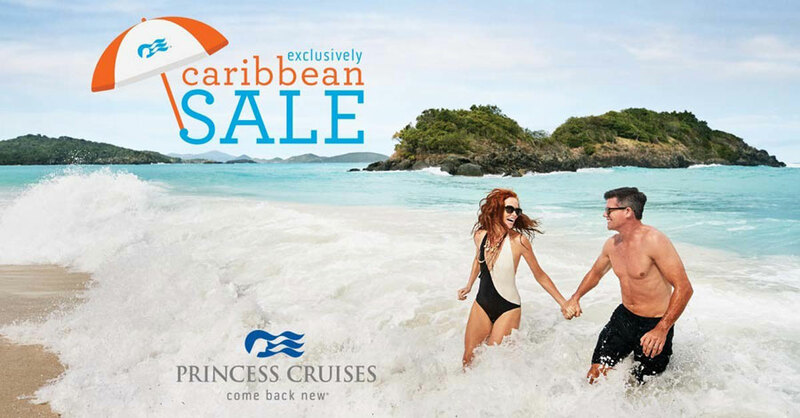 Princess Cruise has started a new Caribbean sale with rates starting as low as $99, these are the lowest fares of the season from the cruise line. If you’ve been thinking of a Princess cruise in the Caribbean then this could be your best chance to save big. The cruise line is running its “Exclusively Caribbean Sale” where cruise fares are starting as low as $99! You won’t have that long as the sale will run through December 26 at 11:59 PM, after that you’re going to miss out. The Caribbean sale will be available on 7-day, 8-day, 10-day and 14-day sailings departing February through April 2018. Rates start from $99 per guest but also the cruise line is adding even more with free gratuities and third and fourth guest fares starting at just $15 per day. As usual, when it comes to these promotions it does depend on booking availability and the low rates are on select sailings from Princess Cruises. The cruises are for the Caribbean and this shows the region is back in business after devastating Hurricanes in September. Hop on these impressive low rates and you’ll soon find yourself chilling in the Caribbean sun! Always check the terms and conditions before booking. Cruise Hive readers can also take advantage of even further low rates at our dedicated Princess Cruise Deals page.